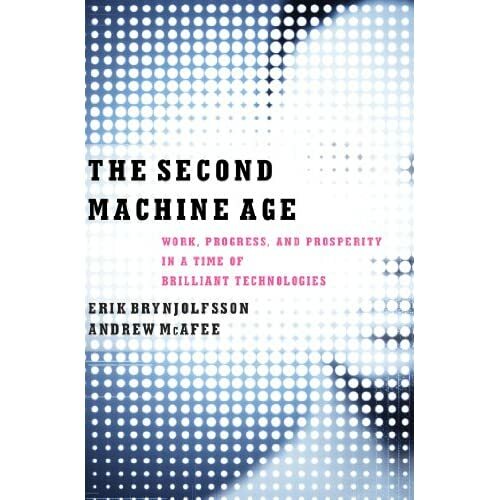 I just ordered “The Second Machine Age” not because authors Erik Brynjolfsson and Andrew McAfee seem optimistic about the ‘digital engines’ that were able to diagnose diseases, talk back, drive cars, and write quality prose. But because they seem to acknowledge the thorny challenges we face as these new machines run our lives. Think about the recent challenges: We are still surprised by catastrophic weather events, despite the satellites and other climate science tools we have. Our marvelous machines may help us locate a lost phone, but often miss the big things. Just consider what GM’s ‘system’ ignored or considered unimportant in their cars. Then there’s the lost 747. A friend recently commented how, despite all our tools, there’s something humbling about how we don’t have smart enough technology to locate something as big as an airplane. The book is based on the work at MIT’s Center for Digital Business, at which Brynjolfsson is the prof of management at the Sloan School. I like his description (In a Ted Talk) of what he calls ‘general purpose technology’ that changes the game. It’s funny, but this seems to be yet another ‘MIT book’ that has crossed my path that delves deeper into the subject of technology compared to the usual blather about how good things are. Sherry Turkle’s Alone Together was a classic discussion in a narrower field of communication tools and robotics. I’d also be very glad if you decided to review the book on your blog, but that would be completely up to you.